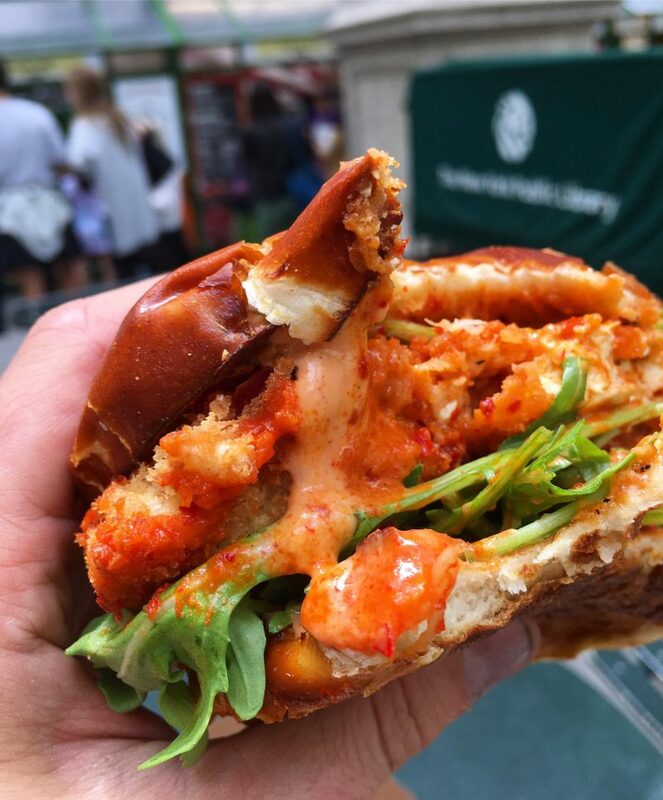 The kosher vegan team at The Cinnamon Snail is at it again with another location in NYC. After opening their permanent location at The Pennsy adjacent to Madison Square Garden early last year, they’ve added a permanent new kiosk on the corner of 40th st & 5th Aves by The New York Public Library and behind Bryant Park. 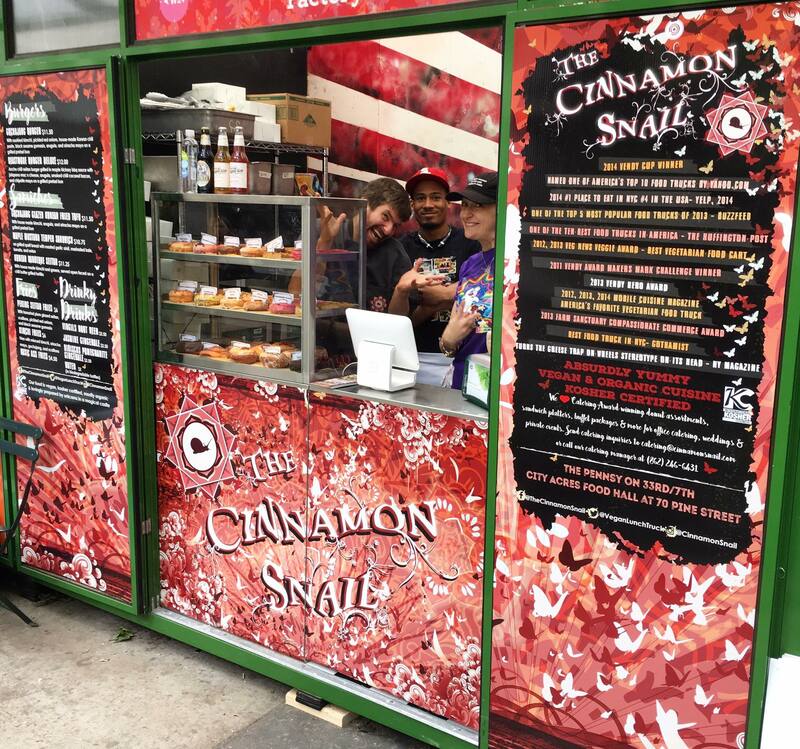 The Cinnamon Snail eateries are open 7 days a week from 11:00-8:00 serving a menu of flavorful vegan burgers & sandwiches, donuts, pastries, and loaded Peking seitan fries with tamarind plum sauce, scallions, pickled red onions, and 5-spice roasted black sesame gomasio. Kosher supervision by the IKC.